Designing a hotel over the top 16 floors of Hong Kong's tallest building lends an immediate advantage: The location alone makes it a showstopper. 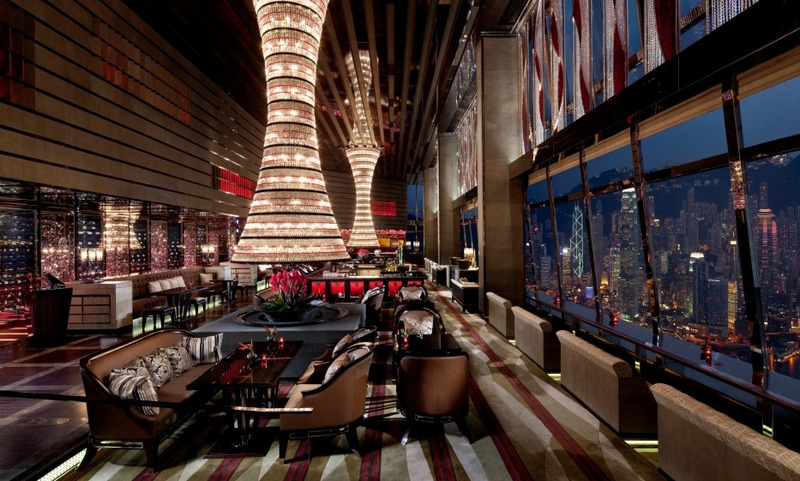 But the Ritz-Carlton Hong Kong does not stop here, taking luxury to new heights in every possible way. It has two Michelin-starred restaurants and a spa where treatments include some that celebrities like Margot Robbie and Mary Greenwell swear by. The hotel also has an infinity pool suspended high above the city with sublime views of Victoria Harbour. But where the uniqueness of the Ritz-Carlton Hong Kong shines through, is how the rooms and common areas have been designed to feel snug, like a fortress, as if to compensate for the dizzying heights outside. Everywhere you look, the hotel exudes a warm vibe with a charming east-meets-west decor and massive chandeliers that light up its spaces like lanterns. And then there is the rooftop bar, which has an outdoor sitting area with sweeping views of the city just outside. Elevated from the busy world below, the Ritz-Carlton Hong Kong is a retreat frozen in time and nothing about it disappoints. The member lounge staffs, Ms Patricia Chan, in particular, were very friendly and my wife and I were deeply impressed by their hospitality. I would like to stay in the hotel again, most probably in next February for holiday. In one word excellent! Special mention for the Ritz Carlton representative who met us at the airport and handled the luggage through to check-in - he was excellent and what a great service / nice touch to really sign-off a brilliant two days in a first class hotel! Beautiful building in great and convenient location. Amazing service level! A welcoming and efficient luxurious hotel who's staff is genuinely friendly and knowledgeable. A can't miss when you stay in Hong Kong.